What if the whole of our lives (our soul, i.e., life; see part 2) was organized around Him? Our hearts, minds, and bodies functioning together in perfect unity! If we approach that idea with humility, it might seem like a nearly impossible task. However, it can’t be impossible. Otherwise, why would Jesus talk to us about experiencing an abundant life (John 10), rest for our souls (Matthew 11), and finding our lives (Luke 9). Experiencing this kind of life isn’t about abilities or worthiness, but willingness to let go of any sense of my abilities or worthiness. Certainly, we experience tastes of this life now in anticipation of the final, forever feast in eternity, but the reality remains that we can experience tastes. How much of a taste and how often we taste is perhaps more related to our desire and willingness than ability or knowledge. The issue of will and desire speaks of the heart. Being in touch with what we truly desire, as ones created in God’s image, is an issue of the heart. Yet, we often don’t live there. Because of hurts and worries and fears, we have a tendency to live elsewhere. Perhaps, we prefer to live in our minds where we can tell ourselves what we want to be true even if our hearts tell us something different. Or, perhaps, we like to live in our bodies where we just immerse ourselves in activity (of whatever kind) in order to numb the realities of our hearts. Our tendency to not live from our hearts is the reason that Proverbs 4:23 counsels us to “Keep your heart with all vigilance, for from it flow the springs of life.” Keeping our heart, or attending to it, is vital for experiencing the life that He designed us to live. How do we do that? First, we attend to our hearts when we determine to live from our hearts. If all of our lives are to be organized around Him, it starts with the heart. The heart is the control center of who we are, and it is the place where He dwells. He doesn’t dwell in our minds or our bodies except to the extent that our heart is informing the other parts of who we are. A balanced life, organized around Him, begins in our hearts. Second, we attend to our hearts when we pray and connect with Him … when we are bringing all that we are before Him. This is why the Scriptures encourage us to pray without ceasing (1 Thess. 5:17). Third, we often let worries and hurts and fears pile up on top of our hearts, creating a hardened shell. So, rather than dwelling with Christ in our hearts and experiencing joy and peace and love, our interactions with our hearts are more about navigating hurt and fear and worry. We attend to our heart when we give all our anxieties to Him (1 Peter 5:7). Throughout the Scriptures, we are encouraged, “don’t lose heart” (Luke 18:1; 2 Cor. 4:1, 16; Eph. 3:13). The idea is that our hearts can shrink and our hearts can become small with worry and hurt. For most of my life I’ve suffered with asthma and when an attack occurs, it feels like my lungs become the size of a grape. I can barely get a breath. 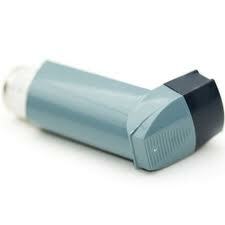 But when I take a puff on the inhaler, it feels that my lungs are enlarged again. We can allow our hearts to shrink down to the point that we feel we can’t breathe and so we think, “I’ll live from my mind or my body and ignore my heart.” God promises that He will enlarge our hearts and the joy that we experience is the freedom to run in His commandments. When our hearts are enlarged, we find that we have enough room to love Him and others. We find that there is enough love to go around so we don’t have to hoard it for ourselves. It is in our hearts that we experience Him. Theresa suggests that Christ lives in the depths of our hearts and we experience increasing oneness and closeness as we journey through the various mansions. As we learn to lay aside all worry and fear and sin and preoccupation, our hearts are opened wider and we dwell with Him in all His glory. What fears? What worries? What obsessions will you relinquish today so you would live from your heart with Him? Giving Him the cares of our hearts is like taking a puff on an inhaler … it gives space, the space to experience and enjoy … the space to love and be loved. The beauty of the journey is that He leads us step by step. He doesn’t show us the whole journey (it would likely overwhelm) but He shows us the next step. What is the next step for you? ~ by Ted Wueste on August 8, 2013.